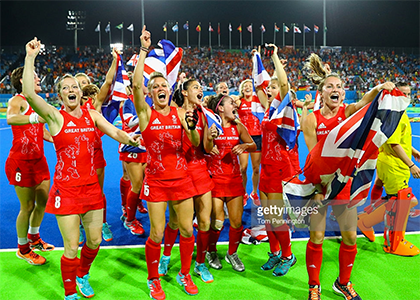 After watching Team GB win an historic bronze in Rio 2016 you may be thinking that you’d like to give Hockey a go. Well read on, as Sportsister gives you all the information you need to get started. Hockey is played all year round and can be played by pretty much anyone. 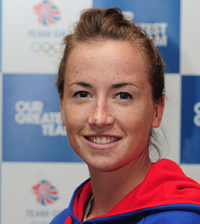 The sport is growing in the UK and is currently played by over 100,000 people. 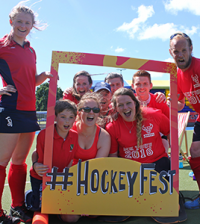 As well as being an enjoyable way to keep fit, hockey provides great opportunities to meet new people and socialise. Hockey bares many similarities to football with the obvious exception being that players are required to use a hockey stick, rather than their feet, to play the ball. Games last seventy minutes and are contested by two teams who can field up to eleven players at any one time. The idea of hockey is to score more goals than your opponents by pushing, hitting or flicking the ball into the opposition’s goal. Teams are made up of defenders, midfielders, attackers and a goalkeeper who is the only player permitted to use their feet. Hockey is now almost exclusively played on artificial grass pitches, or ‘astroturf’ as it is more commonly known. Astroturf comes in both sand and water based form and makes for a much faster game than on the traditional grass pitches that were used previously. A goal can only be scored by the ball being struck by an attacking player in the opposition’s circle or ‘D’. 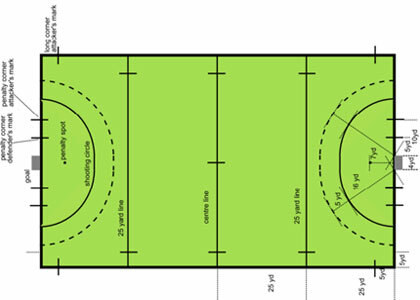 There are no restrictions as to where certain players can go, but like in football team tactics will generally mean you cover a certain area of the pitch depending on the position you play in. Is it expensive? What equipment do I need? If you’re just starting out in hockey then there’s no reason why it should be a hugely expensive experience. Sticks begin at around £25 and can go for anything up to £250. You get what you pay for, as with most sports equipment, so the more expensive the stick, the better quality it will be and the longer it will last. When buying a stick, ensure the length, weight and balance feel appropriate for you. Some hockey shops have areas where you can test a stick out, but if in doubt speak to an assistant who will hopefully be able to advise you further. Players are advised to wear protective equipment when playing the game. Mouth guards are recommended, to protect the teeth and gums from stick and ball impact, as are shin pads and protective gloves are also an option. Initially it’s fine to play hockey in just a T-shirt and tracksuit, but if you are hoping to play regularly then it would be worth buying some specific hockey kit. 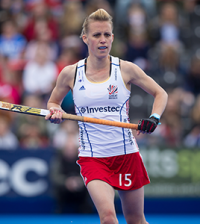 Specific women’s hockey kit comes in the form of a fitted shirt and a skort (a cross between a skirt and a pair of shorts) and a pair of long sports socks. These items can bought in sports shops such as JJB Sports, but specific hockey retailers such as Barrington Sports (www.barringtonsports.com) will have a better selection by some specific hockey brands. Joining a club – where can I play? 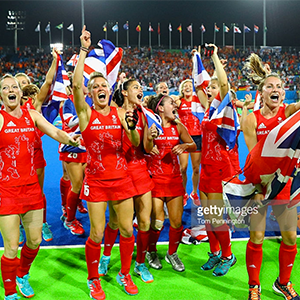 The UK has a thriving club structure with over 1000 affiliated clubs so no matter where you are, you shouldn’t be too far away from some hockey playing opportunities. Clubs will offer training for all ability levels so regardless of whether you want to play regular club hockey or merely enjoy your first taster of the sport you should be equally catered for. The general hockey season lasts from September to May, but there is also a lot of non-competitive and more social-based hockey that takes place in the summer. So that’s it. You now should have all you need to get involved in hockey, so why not pick up a stick, get down to a club and get hooked!